Dover, DE festival Firefly Music Festival had a great first year in July of 2012, and afterwards immediately announced it’d return in 2013. The 2013 festival happens from June 21 – 23 at the Dover International Speedway, and the lineup was just announced. It includes Yeah Yeah Yeahs, Passion Pit, Kendrick Lamar, MGMT, Grizzly Bear, Japandroids, The Walkmen, Django Django, Public Enemy, CHVRCHES, Amanda Palmer, Foxygen, Alabama Shakes, Toro y Moi, Dan Deacon, Action Bronson, The Avett Brothers, and more; and the headliners are Red Hot Chili Peppers, Tom Petty and the Heartbreakers, Vampire Weekend, and Foster the People. The full lineup is below and you can watch the announcement video at their website. TIckets go on general sale Thursday (2/21). 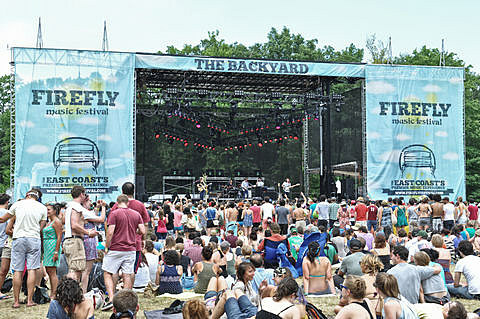 Firefly happens a couple weeks after NYC festival Governors Ball, which has some lineup similarities (Kendrick Lamar, Grizzly Bear, Japandroids, Avett Brothers, etc). That one goes down on Randall’s Island from June 7 – 9 and tickets are still available.